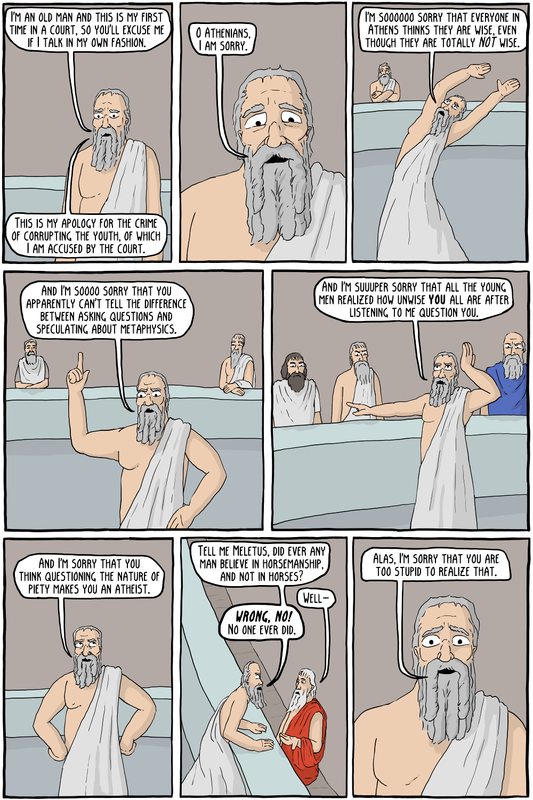 This comic is about Plato's Apology, where Socrates defended himself at his trial and is ultimately put to death for corrupting the youth and impiety to the Gods. It is, essentially, the founding myth of all of Western philosophy in many ways. Socrates was killed for investigating the truth, and just as it was with Obi-wan, striking him down only made him more powerful. His life and death inspired generations of philosophers in Athens to more deeply investigate the nature of reality, and to question all the traditions of the past. You can read the full text here, and there is a free audio book version of it on librivox. 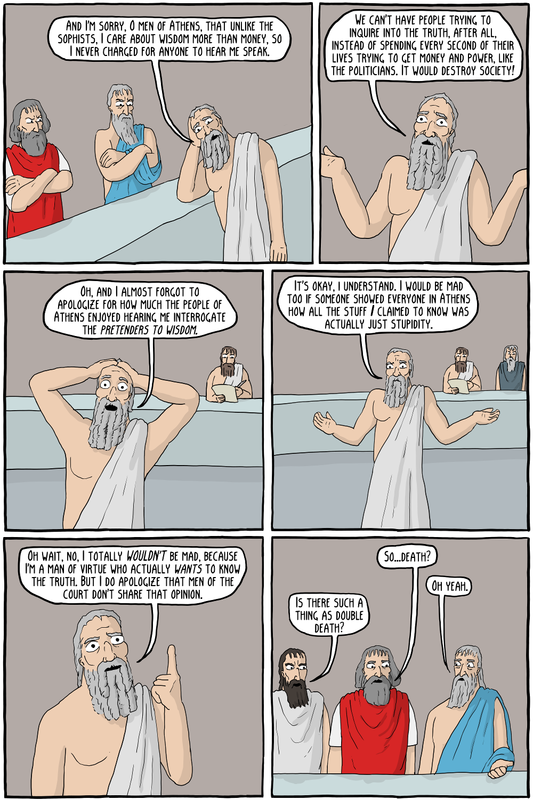 The joke is centered around the fact that Socrates hardly tried to defend himself at all, and instead mostly doubled down on what got him into trouble in the first place - claiming that the elder "wise" men of Athens didn't know anything worth knowing. In addition, Plato's title of "Apology" doesn't refer to "saying I'm sorry", as we usually use the word today, but instead refers to its earlier meaning of defending oneself of one's actions or beliefs. So the joke is based around that pun, as Socrates certainly didn't apologize.